Jeep will reportedly be bringing a total of six models to the 45th Annual Moab Easter Jeep Safari taking place in Utah later this month. For now, the automaker has released sketches of two of the models, both Wranglers. 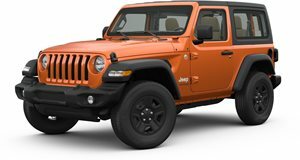 Called the Renegade and the Pork Chop, Jeep has so far not given any specifics regarding features and price. The only thing we can visually see are the large off-roading tires. More details should be announced shortly, but we can guarantee that both these and the other four models will all be off-road ready.